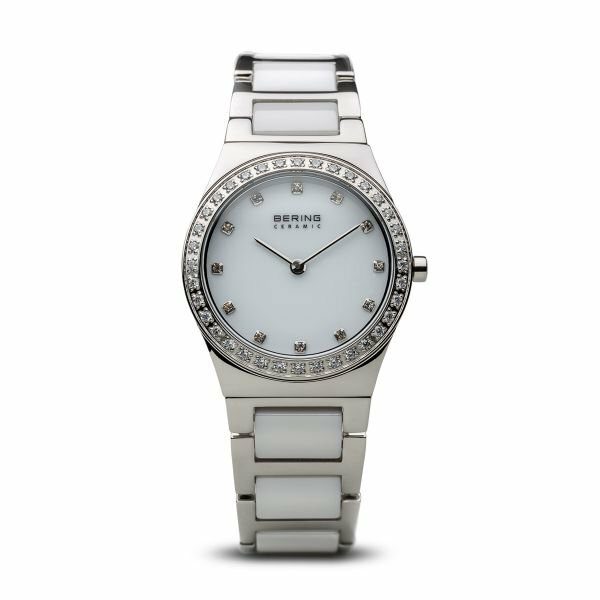 Part of the BERING Ceramic Collection, this ladies watch features a steel bezel filled with Swarovski crystals, steel case, along with a bracelet made with white ceramic and steel links. This model is water resistant to 5 ATM (165 feet) and also features a sapphire crystal which is extremely scratch resistant. The white dial also has Swarovski crystals in all of the markers, giving this watch an elegant and sophisticated look and feel. Perfect for any occasion.